The way some women, both young and old, are losing their life shamelessly in adultery and going to Hell Fire, all because of their lack of respect for the word of the Lord is quite a shame. Try to advise or preach to them, they’ll ignore you until they meet their end. Sigh! The police in Ogun state has arrested a 28-year-old man, Kelvin Michael, for the death of a 40-year-old Adulterous wife, Monsurat Idowu. The police said she died after a marathon s*x with Michael. 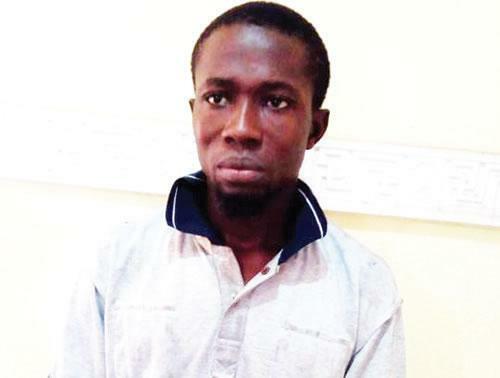 Oyeyemi, a Deputy Superintendent of Police, explained that the younger lover claimed to have met Monsurat last month in a bus at Ketu, Lagos, where they exchanged phone numbers. He said, “The suspect told the police that he invited her to the house of his friend in Ota where the deceased slumped and died shortly after they had s*x.
Oyeyemi said the shocked husband told the police that he left his wife in the house hale and hearty while going to work. The PPRO said her corpse had been deposited in a mortuary for autopsy.